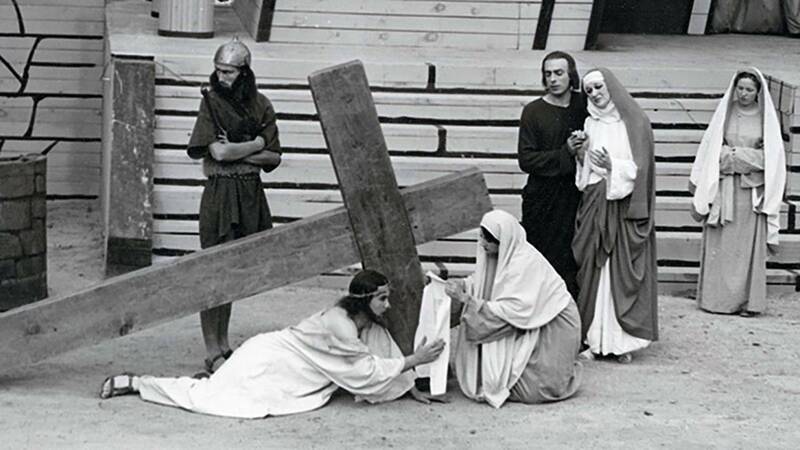 For 69 summer seasons, the Black Hills Passion Play drew tens of thousands of people to a 6000 seat amphiteater on the edge of Spearfish. For many years, seeing the Passion Play was a much a part of a Black Hills vaction as a trip to Mount Rushmore. Passion plays were first staged in the late middle ages by monks hoping to educate a mainly illiterate public about the last days of Jesus and the Easter story. The Black Hills Passion play traced its origins to a monastery in Luenen, Germany and a production first stage in 1242. In 1932, Josef Meier, a seventh-generation Passion play performer born in Luenen, translated the historical play into English and moved with a small cast to America. Meier was motivated in part by the knowledge that not everyone could afford to travel to Europe to see the play. The first of Meier's productions was staged in New York. Meier began looking for other locations around the country and in 1938 chose Spearfish, South Dakota as the play's new home base. An amphitheater was built and the play opened in May, 1939. The company established a winter home in Lake Wales, Florida in 1953. The company also took the play on the road, visiting some 650 cities before the touring ended in 1964. 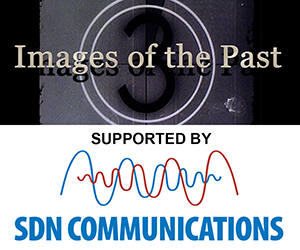 The following video shot in the mid-1990s describes the origins of the historical Passion Play. Josef Meier talks about the beginnings of the Black Hills Passion Play. Historical pictures and film from the 1930s and 1940s show the amphitheater under construction and a scene from the play. Images of the Past The Black Hills Passion Play - 1939-2008 A stage production based on the Passion of Christ ran in Spearfish from 1939 until 2008. Josef and his wife Clara, who played the leading female roles in the the play for many years, retired in 1991 after 9000 performances. Josef Meier died in 1999 at the age of 94. Clare Meier passed away in 2007. The Meier's daughter, Johanna Della Vecchia, continued to produce and direct the production in Spearfish through the 2008 season. The Black Hills Passion Play's last performace was on Sunday, August 31, 2008. 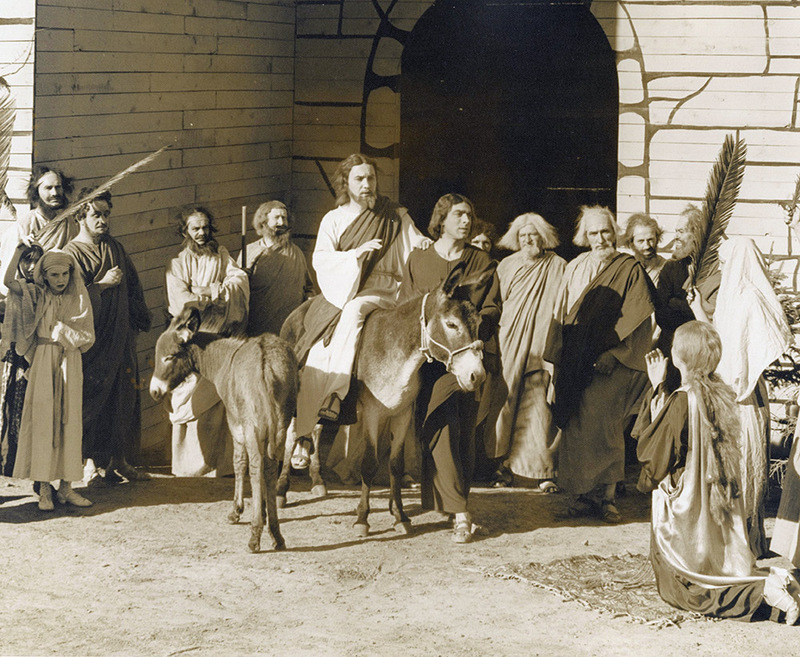 A chapter in Jan Cerney and Roberta Sago's book "Images of America - Spearfish" tells the story of the founding and long run of the Passion Play and features many pictures from the production. Read about it in this Google Books entry. 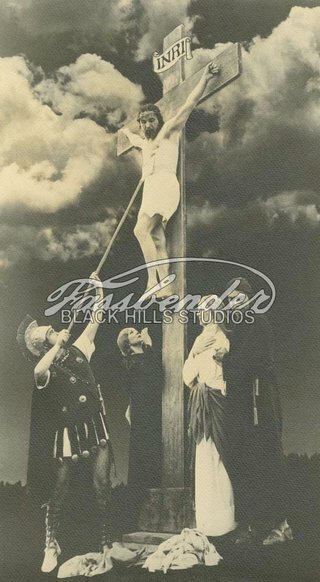 Many photos of the Passion Play were taken by Joseph and George Fassbender, father and son photographers working in the Black Hills for many years.